So often youth who come to seek service somewhere like YouthLink are in crisis. They come to us with an immediate need that has to be addressed, and that need becomes the focus—instead of the whole person. While food, shelter, job assistance, etc., are all critical, we realized we could be more impactful and transformative at YouthLink if we found a way to meet the holistic needs of youth. This model is woven throughout everything we do at YouthLink. From the way we deliver our services to how we redesigned our building. “Wellness is intentionally infused into each area. 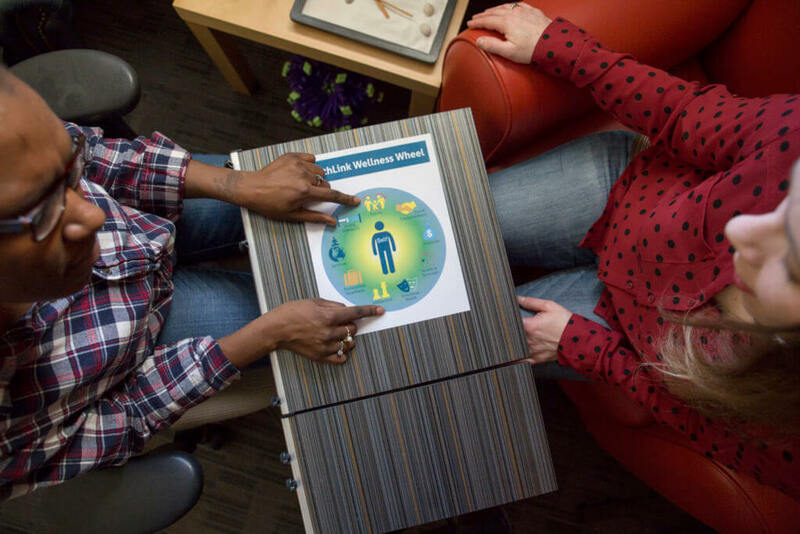 As we were developing this model, we met with each department, agency-wide, to find ways we could bridge the gap to create a culture of wellness. We even created a wellness room where youth can go to be mindful in a quiet space,” says Shannon. Everyone at YouthLink is excited about what this model means for the youth—and the entire YouthLink community.